United Continental Holdings Inc. again angered some fliers on Tuesday after a passenger’s dog died in an overhead luggage bin. The incident on a Monday flight from Houston to New York is a new challenge for United executives trying to rebuild passenger confidence following a series of on-board altercations over the past year. Passengers who said they were on the flight expressed frustration with United and the attendant who they say insisted the dog be stowed overhead. Ms. Gremminger didn’t respond to an interview request. Airport police forcibly removed a passenger from a United flight at Chicago’s O’Hare International Airport last April, prompting lawmakers to call a hearing over the airline industry’s treatment of passengers. The death later that month of a large rabbit transported in the hold of United jet flying to the U.S. from the U.K. prompted further tirades against the airline on social media. On Tuesday, United said it was investigating this week’s incident involving a dog traveling in the cabin of a flight to New York’s La Guardia Airport. The transport of animals on flights has attracted controversy in recent months as a number of airlines tightened rules on their carriage after a series of incidents involving passengers and flight crew. United last month tightened its requirements for passengers flying with emotional-support animals following a surge in numbers and onboard incidents such as urinations across the industry. Other carriers are reviewing their policies after an effort by the Transportation Department to create new industrywide rules stalled last year. 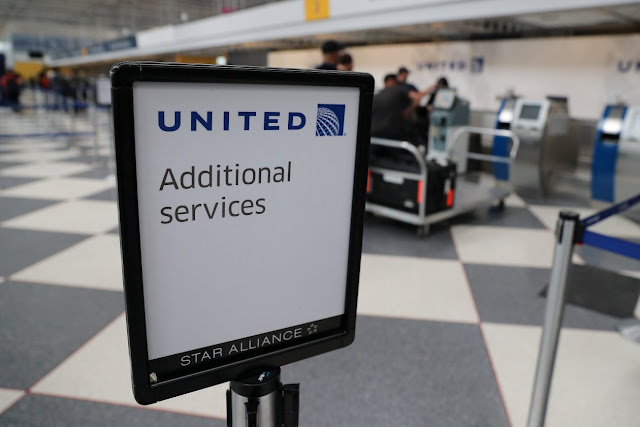 United shares were slightly lower in after-hours trade on Tuesday, though shares in other carriers including American Airlines Group Inc. saw larger declines. Chicago-based United has been under pressure from investors after announcing plans in January to grow its annual flying by 4% to 6% over the next several years. That prompted concerns over a possible fare war that could dent profits. United President Scott Kirby said at an industry conference earlier Tuesday that its plans had been misunderstood.